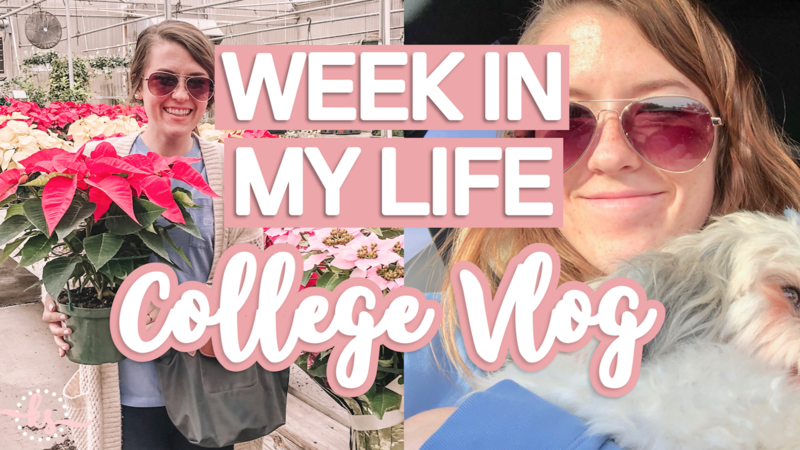 I switched up the usual ‘day in my life’ vlog content and filmed a college week in my life instead! This week, I’m taking you along for my last home game day, lots of travel, and the week of Thanksgiving. It’s always nice to have a quiet time spent with family. Some of the best days are the ones when I barely use my phone! I know these videos might not be the most ‘exciting’ things in the world, but I love filming them and having them as little journals of my life. I like to keep things real, and this is what life looks like! I wouldn’t want it any other way. I’ve been focusing a lot on video content lately, as I’m sure you’ve noticed. I’m making the most of these ‘college’ videos while I’m still a student! Thanks for watching! Do you prefer week in my life videos or daily vlogs? As I’m sure you’ve caught on from my constant excitement for Vlogmas & Blogmas (I’ve been planning & creating for about a month now! ), I absolutely love the holiday season. These holidays have been super commercialized and the focus on material things can be frustrating. In this season though, I love the reminder and extra excuses to be truly thankful, daily, and to enjoy the wonderful blessings in my life. Thanksgiving made me even more excited for Christmas and all the fun celebrations this December brings. I love decorating for Christmas and the holidays, as you see in my videos, but these things remind me even more of the true reasons for the season. I hope my platform and content can be little reminders to be kind, be grateful, and choose to be positive. Life is hard enough as is! I’ll take any extra reason to celebrate.